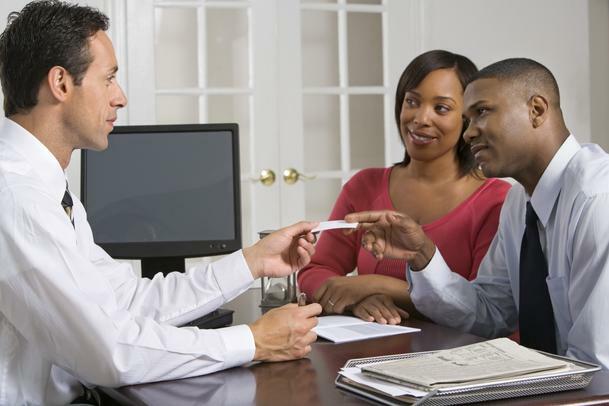 So, you have known for a long time that you need to change up your banking relationships. How can you tell? Was it the last four “NOs” that they gave you when you asked for a loan or some added consideration? Or is your banker difficult to get ahold of? Does your bank expect you to talk to an automated system and call back a few times after the Bank Robot disconnects you? As I was building my larger enterprises to over 600 employees here in California I outgrew a few bankers. How did I know it was time to find a new one? I knew it was time to establish new banking relationships when our relationship manager was less than responsive. It was time to switch banks when their radio commercials just made me angry and jealous that I didn’t have the kind of service that they were promising others in their advertisements for new banking customers. And… of course, it was when they said things like….“we are just not THAT kind of bank.” I have to admit I only heard that once when we hit our first major recession in 1982. We had been banking with Security Pacific Bank in Los Angeles. They were considered one of the biggest in California at the time and my company had no borrowing relationship with them, only deposits. Our company outgrew our “huge” bank, and realized that a smaller regional bank was more likely to accommodate our growing needs. We needed to establish and refine our credit policies. We needed to better manage our Accounts Receivable and use them as collateral for a growing Line of Credit. PDQCareers, the company which I founded and grew for over 25 years eventually landed with a then small but ambitiously growing bank who was eager to sign up all the best Los Angeles based growth oriented companies. We found our match not only in the bank but with the all-important service team who served our needs. Another important factor was that our CPA liked our bank and our bankers liked our CPA. Those added relationships really matter. When the right CPA blessed your Review or Certified Financial Statements, the right banker has a higher level of trust and much less concern about an entrepreneurs’ business. My business banking needs were relatively simple: a line of credit and cash management services when we had surplus. We also benefited from the wise counsel of a few sage bankers over the years. They helped us refine our credit and collection procedures and they gave us general business advice. I never needed to use a Factoring Bank but we had friends and those bankers who had our company on their radar on prospect list kept me informed of the latest and greatest business developments. Today that still holds true, some of my best economic advice comes from my conservative friends at banks and investment houses. By the time I sold my company to a very ambitious acquirer in 2006, we had two very strong banking relationships, one with a national bank, which made it easy for our 600 employees in 33 states to quickly get credit for their deposits or cash their checks. The other local bank became my personal banker as well and financed not only my business but my home mortgage too. Our extended lines of credits required me to provide a personal guarantee. While I would have preferred not to give a personal guarantee, I knew that they were highly unlikely to provide a loan if I was not willing to bet on myself. Look into your Community Bank, they are incentivized to help local businesses and don’t loan out of your neighborhood. Go to a bank that specializes in your industry, if possible. They know your competitors and your industry trends. Talk to your accountant. Who do they like and recommend for your size and type of business? Each type of bank has its favorite niche and there is no sense in your trying to bank where your business is not valued. You can also ask your insurance agent. Like bankers they are fantastic resources and often serve as close entrepreneurial advisors for many things other than the products they sell. In order to be successful at the insurance business, a person must be well networked and in the know. Compare prices and fees. Points, appraisals, checking charges, and all other types of fees for electronic deposits and clearing vary from bank to bank. How the bank prices for your needs matters to you and will also tell you whether you fit your banks sweet spot. I have owned stock in several California banks and have heard one bank President say “we don’t even want to make those loans, we just want the deposits…” I no longer own stock in that bank! Ask your Business Coach. If you don’t have a great business coach, come and talk to us. We have affiliate/partnering relationships with some of the world’s best coaches and coaching and SAAS providers. You can visit our coaching website at dedominic.com or write to me, [email protected] with your specific questions about access to investors, working capital and loans, Bankers or Business Coaching.